The patterns for the new chimney and the vacuum ejector exhaust ring, which bolts to the base of the chimney inside the smokebox, are complete and a price for casting is awaited. The rear end covers for the cylinders have been cast and delivered and a price is awaited for casting the front end covers. The smokebox front ring and the wrapper have been drilled in preparation for riveting together although we propose to attach hinges and other bits to the smokebox door whilst everything is lying on the ground and easier to work on. Various parts of the cab structure have arrived from the laser profilers in flat pack kit form. The steel work for the roof now has to go to a bending company to be shaped and prepared for the sliding vent section. The machining stage of the axleboxes preparatory to whitemetalling is complete whilst machining of the keeps for the pony wheel axleboxes continues. 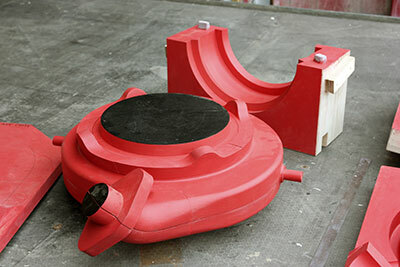 Machining of the bearing brackets for the brake shaft is also in progress. The article and appeal in the latest issue of SVR News have produced a good response from the wider membership of the Railway, with several thousand pounds in donations and new standing orders received to date, and a number of new members, to whom we wish a hearty welcome to the Trust. Following discussions with one of the leading hobby magazines, I am looking forward to a further burst of publicity, but we need to keep our powder dry for the time being and I can't say any more just now. If anyone is curious, he or she is welcome to get in touch with me at the usual email address or by phone. 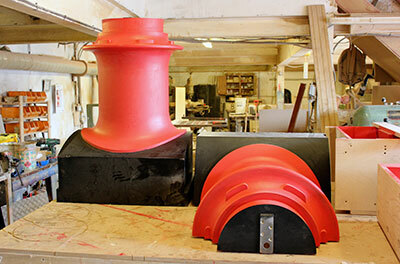 The boiler appeal continues to make excellent progress, though the first inroads have been made into the bank account thanks to the need to pay for components of the smokebox assembly. We will easily exceed the £200,000 target for 2015 taking this into account, and I anticipate that Tony will soon be able to report to you that work has started on the firebox and boiler barrel: we await news to this effect at the time of writing. Thank you so much to all of you who have helped make the appeal so successful. Of course, while all this is going on, it's necessary to keep your eye on the ball in regard to other aspects of the build, and I am working on a strategy to finance the engine's motion, which is going to be the single most expensive item (or set of items) apart from the boiler. For this reason, I would like to offer a number of components for sponsorship, and some of these are detailed in the following paragraph. I've said before that existing income streams will cover the remainder of the build to completion, but what has to be avoided at all costs is a cash-flow crisis - i.e., will the money be available at the time it is needed to pay the bills? 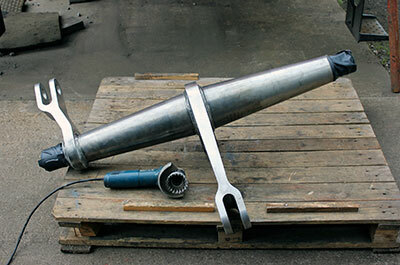 Thanks to the generosity of two members, we already have the connecting rod forgings and these await machining. This month, I would like to start by offering the largest component of the motion (well, actually there are four of them! ), the coupling rods. Please get in touch with Chris if you are interested in sponsoring one (or more) of the above. Thanks! The chimney pattern. Photo: Peter Line. The vacuum ejector exhaust ring pattern. Photo: Peter Line. The hefty brake shaft being prepped for painting. Photo: Peter Line. 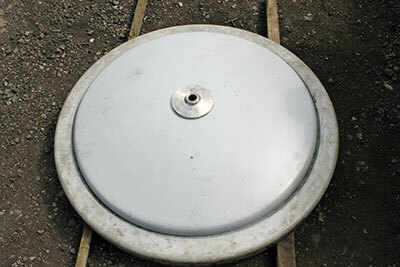 The smokebox door sitting on the ring. Photo: Peter Line. 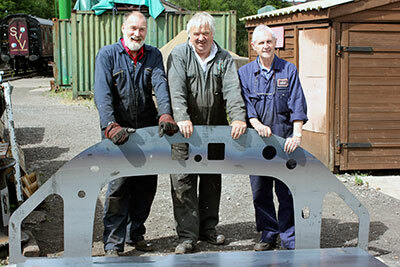 The laser cut cab front sheet with 82045 volunteers, left to right; John Pagett, Martin Managhan and Alan Harris. Photo: Peter Line. 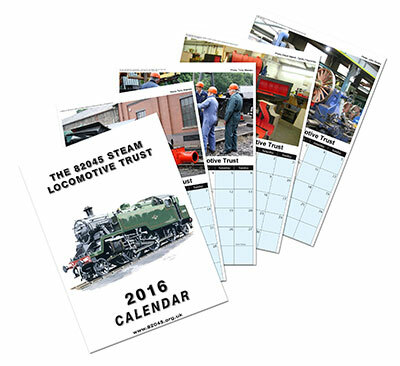 It will also be on sale at the SVR Autumn Steam Gala 17-20th September.